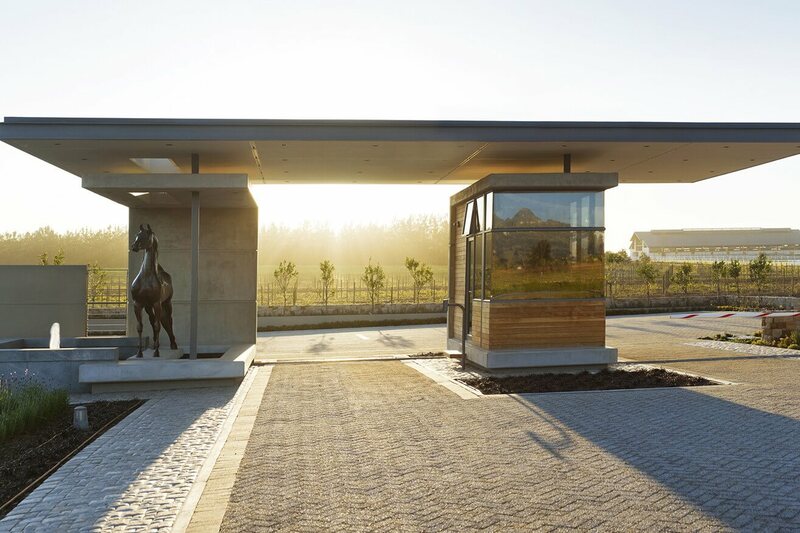 Cavalli Estate has quickly become a recognised and respected South African 'lifestyle' experience with the estate's development on the R44 being widely regarded as a significant event for Stellenbosch and the Cape Winelands, and has established itself as premier location for visitors seeking a sophisticated South African winelands 'lifestyle' experience. As a 'destination brand’ renowned for its wine, cuisine, design, architecture, indigenous landscaping and art, Cavalli has developed a loyal following of discerning patrons. The estate encompasses 100 Hectares of prime property located in the prestigious Helderberg region of Stellenbosch, South Africa. 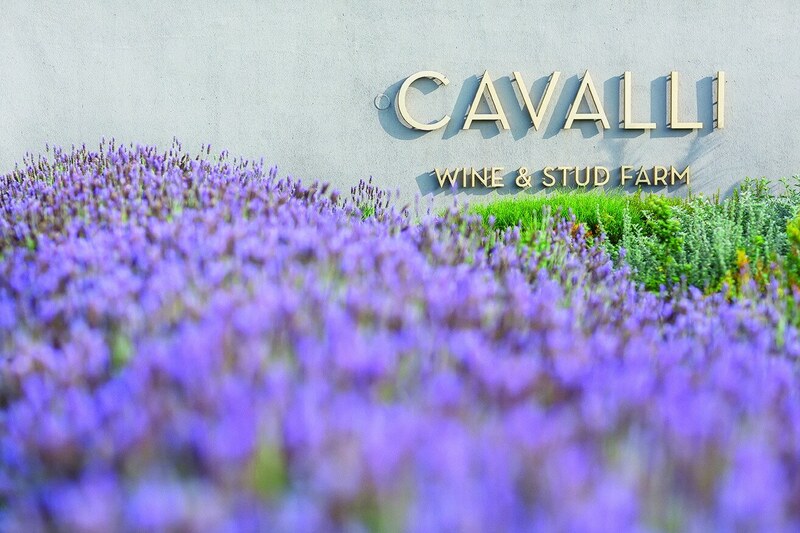 Comprising 26 Hectares of Vineyards, 10 Hectares of Indigenous Gardens, 10 Hectares of Manicured paddocks attached to a World Class Equestrian Indoor Arena, followed by a 3300 square metre public building facility which houses a 100 seater Restaurant, 350 seater Banqueting facility, 600 square metre Retail Art Gallery, Luxury Boutique and Wine Tasting Facility. Cavalli Equine is centered on a respect & admiration for the exquisite beauty, power & harmony harnessed by our enduring companion, the horse. 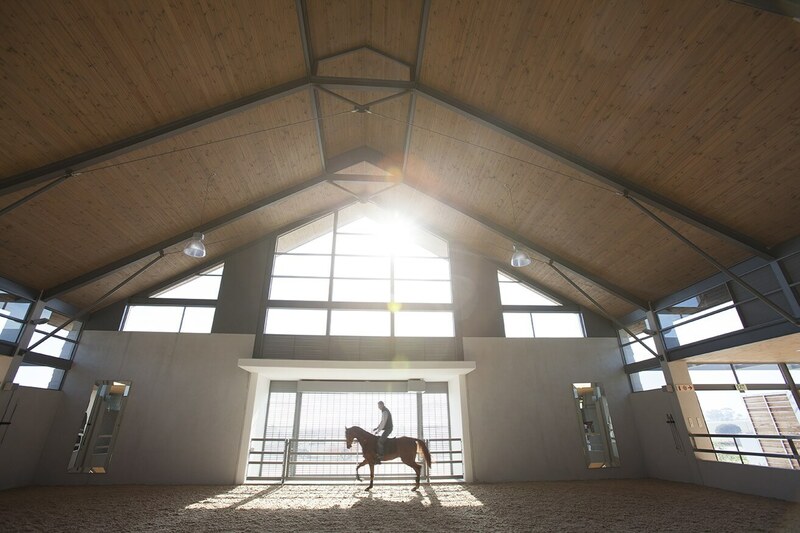 The Cavalli Equestrian facility is situated on over 100 hectares of land and includes an outdoor arena plus indoor training arena attached to 20 state of the art stables. Abundant with natural light, A palette of structural steel is set against the warmth of oak cladding, creating a space that’s an architectural delight. Cavalli’s environmental agenda is to conserve the endangered ecological zones of the Cape Floral Kingdom-A Unesco World Heritage site and home to 90% of South Africa’s Wine industry. Our love for the environment motivates our drive to rehabilitate the footprint of the land by planting thousands of plants and hundreds of mature trees with a focus on indigenous species.